Do you dream in black, silver, white and Panther blue only? Does your heart still flutter when you think about those Cardiac Cats? 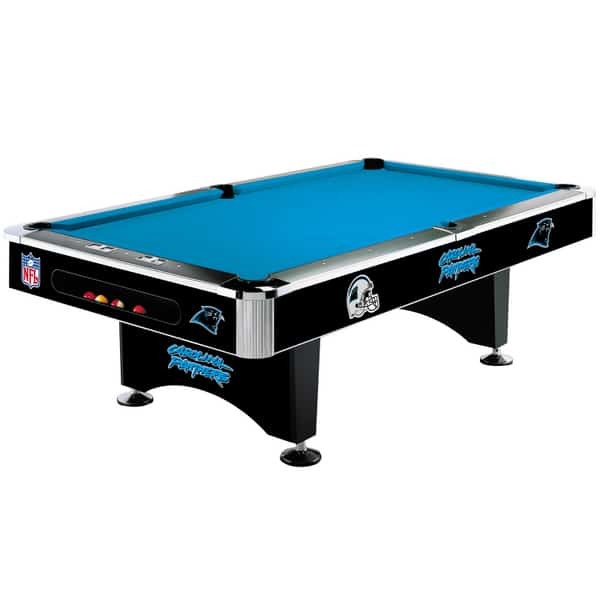 The Carolina Panthers Pool Table from Imperial Billiards and Family Leisure is only for the most obsessed fans of the team from Charlotte. Officially sanctioned by the NFL, Imperial Billiards has created a full line of game tables featuring team logos and colors. Made from the best materials and offering a smooth playing surface of professional felt and wonderful slate, it's appropriate this table represents the excellence of the NFL. So if you find yourself waving the Growl Towel even in your basement man cave on Sundays, you must add the Carolina Panthers Pool Table, which ships nationwide for free from Family Leisure!